Watermelons are without a doubt one of the most popular fruits across the globe. But did you know that aside from their refreshingly sweet flavor, these juicy treats also offer a number of cool health benefits? Improves Kidney Function: Watermelons are a good source of the essential mineral, potassium. Apart from helping flush out harmful toxins away from the kidneys, potassium also helps break up plaque deposits that can develop into kidney stones. Protects the Brain: There are exceptional levels of vitamin B6 in watermelons, which helps prevent Alzheimer’s and Parkinson’s disease if ingested on a regular basis. Apart from staving off memory loss, vitamin B6 is also found to promote the steady production of neurotransmitters in the brain that not only helps keep cognitive function up to par even well into old age, but also maintains the overall health of the nervous system ideal. Boosts the Immune System: Watermelons are packed with various polyphenolic compounds like triterpenoids and carotenoids that help improve the resilience of cells against diseases. These polyphenolic compounds also cut the time it takes for damaged cells to repair and rejuvenate themselves. Supports Heart Health and Improves Circulation: Apart from essential minerals and antioxidants that help fight off cardiovascular disease-causing free radicals, watermelon also contains impressive levels of the amino acids citrulline, which our bodies convert into arginine, which has been shown to help improve blood flow in the arteries of the heart. That’s ’cause it’s also a powerful neurotransmitter that helps blood vessels relax, boosting overall blood circulation. Of course, by keeping veins and arteries stretchy and improving circulation, citrulline can also help prevent erectile dysfunction among men. Anti-Cancer Benefits: Laboratory tests show that watermelons contain more lycopene, a cancer-fighting antioxidant, compared to tomatoes. Lycopene is proven to inhibit the onset of breast, lung, liver, uterine, mouth and colorectal cancers. The darker a watermelon’s flesh is, the more lycopene it can provide. Not bad for such a yummy fruit. Ready to juice up some watermelon? Here are some delicious recipes! “Water” you waiting for? 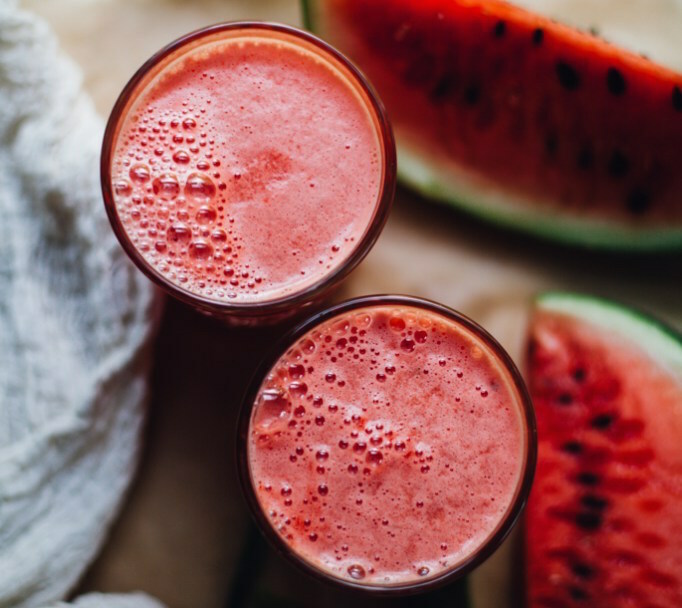 Hydrate yourself with this super simple but super fresh watermelon juice recipe and add a little more freshness to your day. Throw it all in a blender and blend for about 20 seconds, or until the desired texture is achieved. Store leftovers in an airtight glass container in the fridge for up to two days. The fresher the better. Separation is natural. 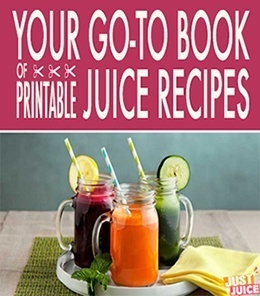 It’s made like a smoothie but drinks like a juice, a smuice or joothie perhaps? I’ll go with juice to keep things simple. This 100% natural drink is chock full of vitamin C and extra hydrating electrolytes so it’s great to drink any hot summer day. It’s also naturally very sweet for the sweet-toothed beauties out there. 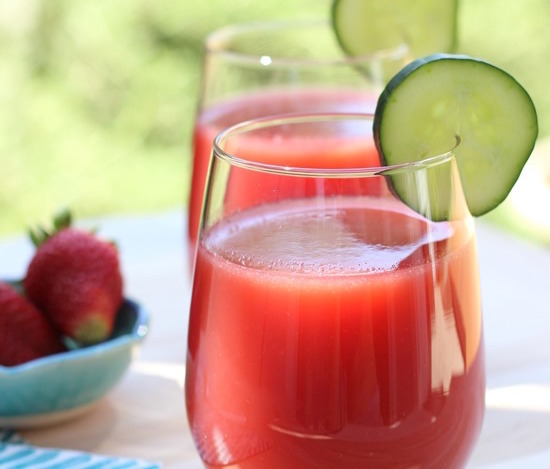 Want to put a little twist to your watermelon juice recipe? Try adding an orange to the mix to give it a little citrus punch. 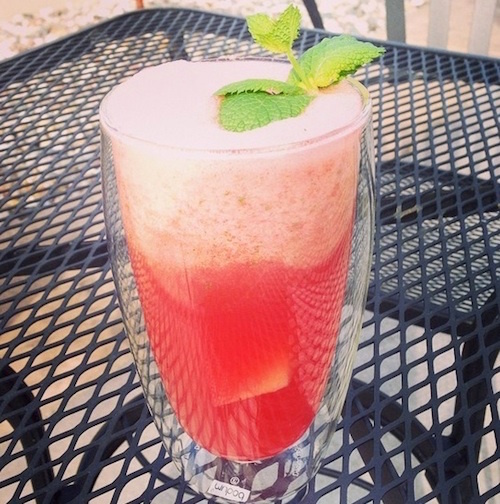 I am bringing a refreshing combination of watermelon and orange in one juice topped with mint leaves. Adding mint leaves is optional but it adds good taste & flavor and they also are cooling for our body. 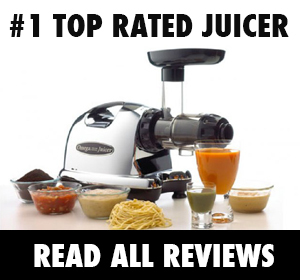 This juice really tastes good and quickly recharges your body. one of the best juice if you have come home after facing hot sun for a long time. A great combination of fruits along with the ever refreshing watermelon to make you feel the tropical summer paradise in one drink. A fun twist on the traditional lemonade that’s wonderfully tangy, sweet, refreshing and incredibly easy to whip up! 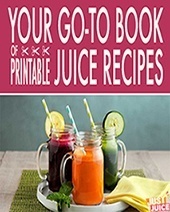 If you are looking for a refreshing, skin- glowing juice recipe to cool off with on a hot day or just want to impress your summer BBQ guests, you should try this . 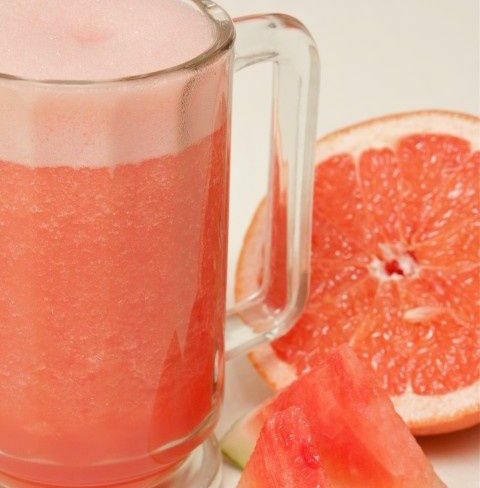 Looking for healthy watermelon and grapefruit detox juice recipes? This delicious blend using turmeric and radishes ROCKS! 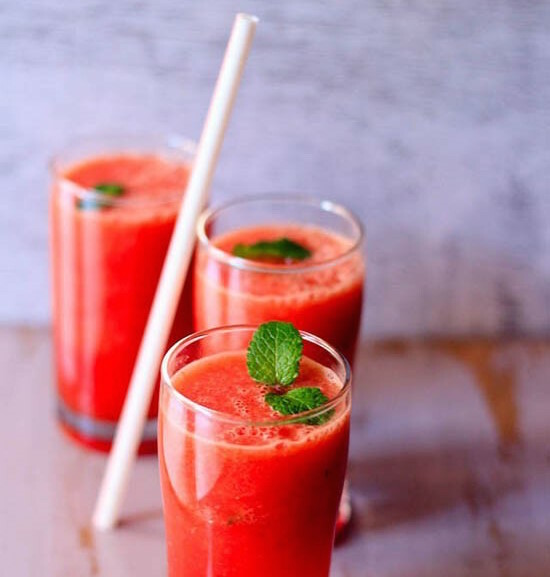 Watermelon juice is not only incredibly hydrating, it is a wonderful natural tonic for gastrointestinal complaints, pulmonary disorders, skin problems, arthritis, gout, headaches, and for boosting energy. 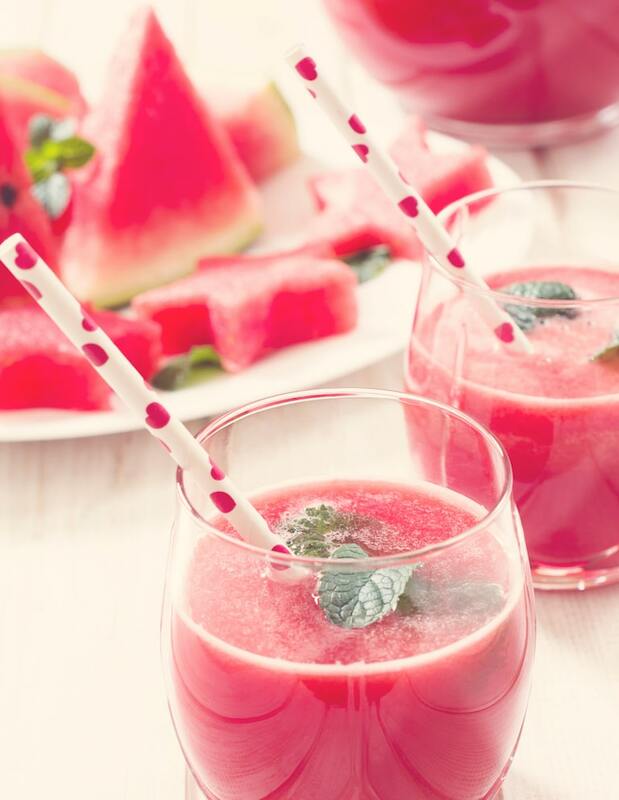 Watermelon juice also flushes acids out of the body, renewing the blood. 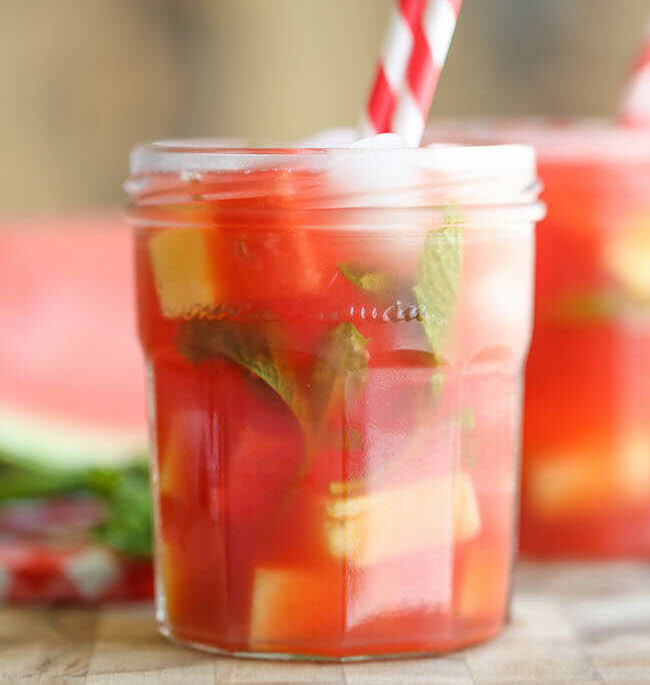 Whole watermelon meets coconut water meets aloe! This is perfect for rehydrating after a long day in the sun. And I would think it would be great for a juice feast, all on its own! And you could do this with any melon, by the way. Fill the blender with the whole watermelon flesh — about ¾ of the way full. Top with enough coconut water to just cover the watermelon. Add aloe flesh. Blend. Serve. Garnish with a basil leaf. Sip. Bliss out. I consider this drink one of the most hydrating, delicious things you can put in your body. It not only rehydrates, but it cools you down. It can even sooth a hyper acidic stomach, and help ease stomach pains in general.